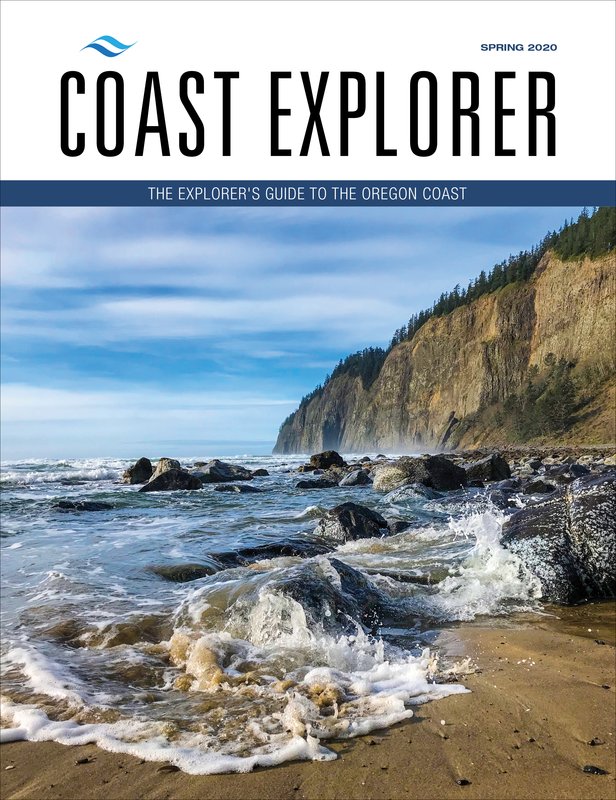 Take a road trip down the Oregon coast in style. 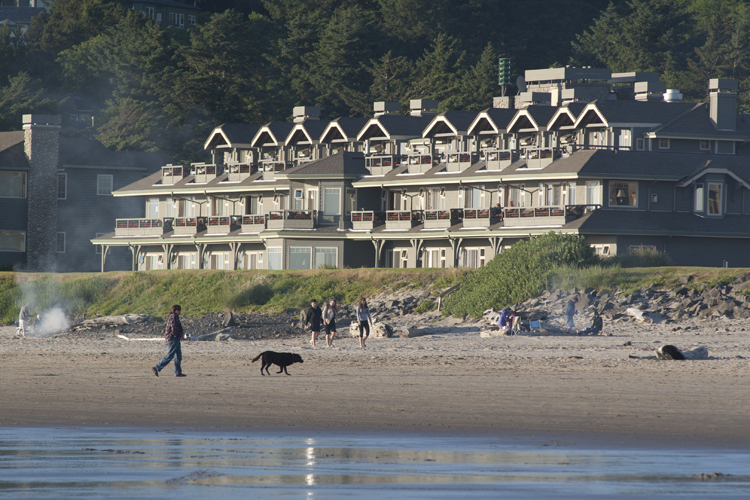 Starting on the north coast, here are the top picks for luxury lodging. After a long day of exploring, nothing feels better on a road trip vacation than checking in to luxury lodging for the night. The special amenities, the extra care from the staff and the uber-comfortable surroundings allow travelers to shed the day's road fatigue in high style. 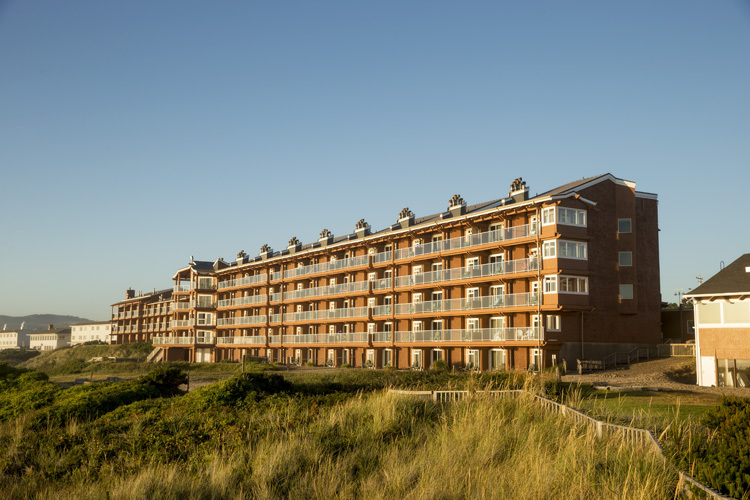 Several hotels along the Oregon Coast have been designed for, and are committed to providing, exactly that. 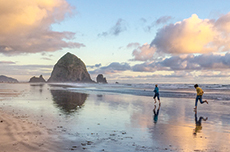 Six luxury hotels are situated along the Pacific Coast Scenic Byway (US 101) so travelers can experience the coast's majestic beauty by day and stay in a different luxury lodge each night over a seven-day vacation. Here are our luxury picks, from north to south. 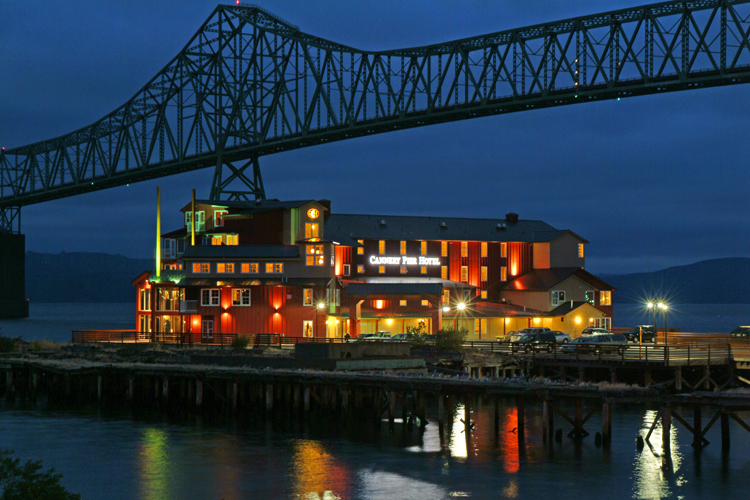 At the beginning of Oregon's Pacific Coast Scenic Byway in Astoria, Cannery Pier Hotel & Spa has a location like no other hotel along the coast: on a historic pier overlooking the Columbia River shipping lane. It's not uncommon to look out your window and see the startling sight of an ocean-going freighter moving a stone's throw past your balcony. 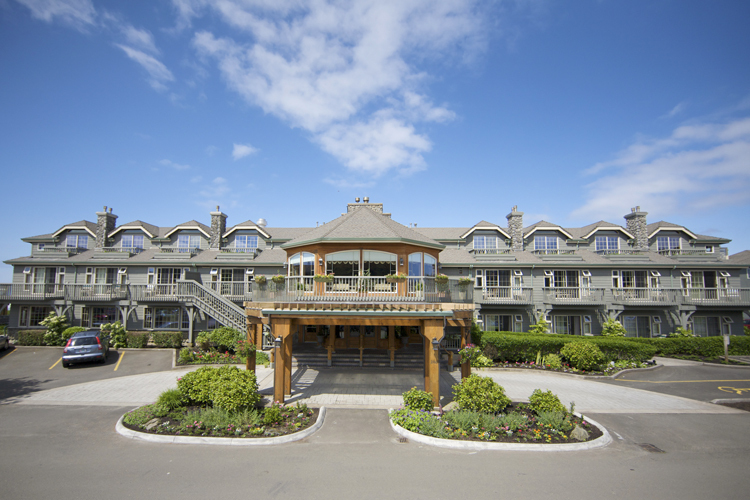 Cannery Pier Hotel & Spa is located on century-old pilings that once supported one of the large-scale salmon canneries so crucial to Astoria's early fishing industry. Today, the pier supports a contemporary hotel offering casual luxury in the heart of a vibrant, working maritime city that's steeped in history. Amenities include wine and lox at cocktail hour, complimentary chauffeured transportation around town in vintage automobiles and a complete spa with a Finnish sauna (a nod to Astoria's Finnish immigrant roots). The Cannery Pier Hotel & Spa is located at 10 Basin Street, close to the Astoria Riverfront Trolley, with easy access to an array of excellent restaurants and craft breweries. 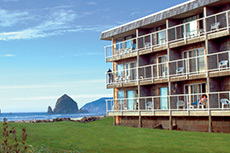 In Cannon Beach, the venerable Stephanie Inn offers recently updated oceanfront rooms and suites. This boutique hotel has an authentic commitment to a relaxing guest experience in this artist colony beach town. 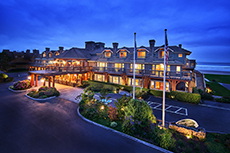 Guests enjoy an early evening wine and hors d'oeuvres reception, a late night nightcap and, in between, the option of superb fine dining in the inn's dining room, where the chef's choice four-course meal changes daily. Other luxury amenities include massage rooms with on-site massage therapists and several guest experience enhancements. 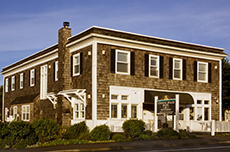 Less than two miles past downtown Depoe Bay, the Coast Highway rounds a corner and there, perched on the edge of a beautiful cove, is Whale Cove Inn, a boutique hotel with stunning views. Only eight suites occupy this elegant, contemporary inn designed for privacy and romantic retreats. Each has a spectacular view and a large deck with private hot tub. The property's acclaimed Restaurant Beck serves elevated fare crafted with locally sourced ingredients. 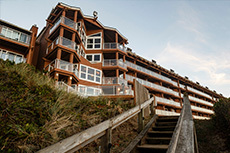 Perched on a rugged coastline, the Overleaf Lodge & Spa in Yachats takes advantage of ocean vistas and dramatic wave action on the central coast. Guest rooms and suites command unobstructed views of this scene. When booking, guests can choose from seven suite layouts for an experience that is perfect for them. With windows overlooking the ocean drama Overleaf Spa offers full spa services to help guests relax and indulge in some well-deserved pampering. Local art and sculpture adorns the lodge inside and out. At Port Orford's WildSpring Guest Habitat, guests immediately sense an authentic commitment to environmental stewardship. Eco-friendly practices and values permeate all aspects of a stay at WildSpring. Luxury is not sacrificed in the process, however. Guests stay in one of five cozy, yet beautifully appointed cabins (radiant-heated floors, anyone? ), set in a second-growth forest on a bluff overlooking the dramatic south coast. Spa services are available and guests have access to the Guest Hall with its deck overlooking the ocean, a comfy lounge area and a kitchen for optional light cooking. Privacy, nature and relaxation are the main events at WildSpring. An entirely different setting awaits travelers at Tu Tu' Tun Lodge near Gold Beach. The lodge occupies a north bank of the scenic Rogue River, five miles inland from the coast. No ocean views, but guests enjoy a wild river setting in a luxuriously appointed lodge. Tu Tu' Tun offers a variety of light and airy guest room types, larger suites or, for optimal privacy and space, three luxury homes. The lodge's dining room satisfies diners with chef-prepared comfort food elevated with a decidedly gourmet twist and made with locally sourced ingredients, of course. At Tu Tu' Tn Lodge, guests can take full advantage of the rich array of outdoor activities or do nothing at all. A boutique luxury hotel with a full range of spa services, specialty experiences and fine dining. A family of four small classic inns, each with their own charm and distinctive accommodations.